This was a great little hotel for me and my friend to stay in. We spent 5 nights here, they had a plentiful breakfast spread each morning as well as room cleaning services each day. 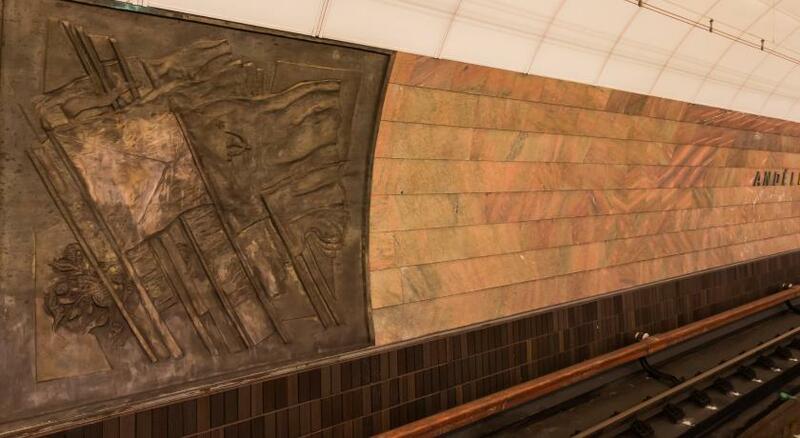 The location is right near a number of public transportation spots, so it was easy for us to get around. As a student working on several reports at the time, I really appreciated how fast the wifi was. Especially for the price, we had a great stay! Close to historic centre. Just bridge and river. Also interesting Cafe for staropramen beer and food are close. The lady behind the desk … she identified herself as the manager … was exceptionally friendly and helpful. Yes, we were quite pleased with our experience at the Anete and would recommend it to anyone looking for a place away from (but easily accessible to) the Old Town tourist center. Stuff is super friendly and always helping. 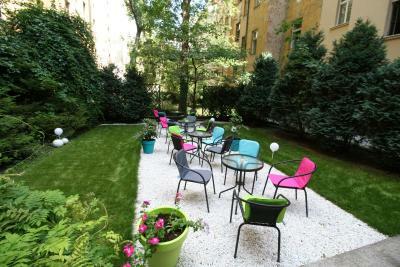 Location is very good, close to almost everything and you can walk by foot to the city center, gardens, Castle or fotress. The only problem to me personally was the Internet which did not work well in my room but worked in the lobby or garden. 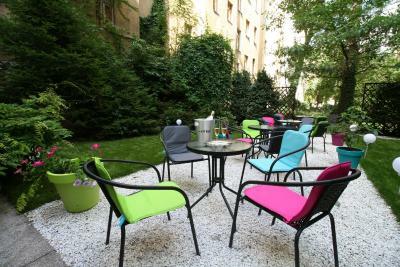 Overall I would recomend staying at Annete to everyone who is looking of good value for money. The location was good. The staff is really friendly and kind. Staff are very friendly and give you the best service. Breakfast is really nice. The restaurant was closed for some reason and the bed was definitely not like a cloud. It has some privacy as you can come in almost without passing reception. The room had a bathtub. 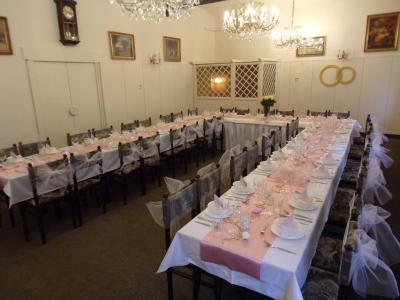 Anette Hotel This rating is a reflection of how the property compares to the industry standard when it comes to price, facilities and services available. It's based on a self-evaluation by the property. Use this rating to help choose your stay! The Anette Hotel is located 1,000 feet from the Andel metro stop and the Andel Shopping center. It offers a sauna and free Wi-fi. 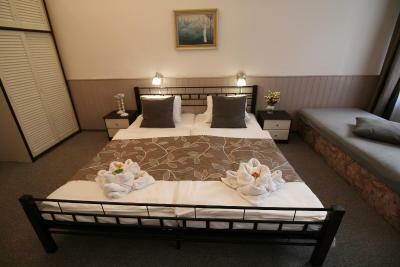 All guest rooms at the Anette Hotel have a private bathroom and are equipped with a satellite TV. 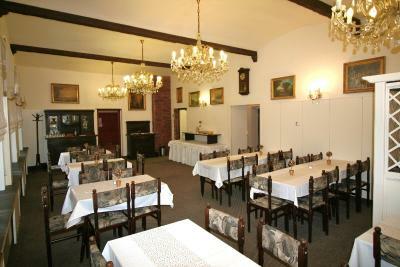 Traditional Czech cuisine and a wide range of drinks are served in the restaurant and the bar. There is also games room with a pool table and darts. Occupying a historic building about 1.2 mi from the very heart of Prague, you can easily reach all sights by public transport from the Anette Hotel. Prague's public beach on the Vltava river is just 650 feet away. 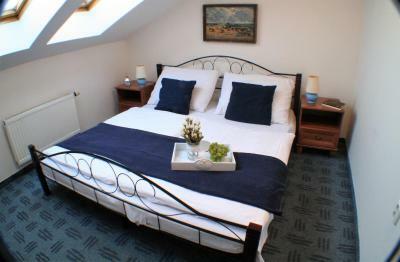 When would you like to stay at Anette Hotel? This room with a private bathroom, a safety deposit box, a TV and a telephone. Public parking is available at a location nearby (reservation is not possible) and costs EUR 13.50 per day. 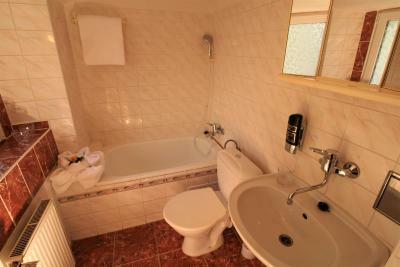 This two-room apartment features a spacious bathroom. House Rules Anette Hotel takes special requests – add in the next step! Anette Hotel accepts these cards and reserves the right to temporarily hold an amount prior to arrival. Please note that linen and towels are changed every third day. mattress was terrible nevertheless the crew changed it, but still. WIFI is poor, almost useless. crew is very kind and supportive. Location. The location is good, very helpful and polite gentlemen on the reception! Good position, near Metro stop and tram. Nice breakfast. Staff is very kind. The room was quite loud as the windows don't really filter the street noise. We had a very nice trip. The location is great for exploring the neighbourhoods and the breakfast served was very delicious. The room was small but very comfortable. The WiFi connection in the room was terrible. If you want to check something you had to go outside of the room (in the corridor). Also the noise from the nearest rooms wasn't realy nice. You could literally hear everything what's going on there, very clearly. Excellent location, staff very friendly and nice. A bit neighbours from buildings around were noisy in the night but I doesn't have anything with the hotel. I liked and appreciated a lot that on my request the staff changed the room immediately without any problems or questions. Location personally for me also is very good as on the left side of the river you can visit Castle of Prague and Petrin Hill with amazing view over the city. 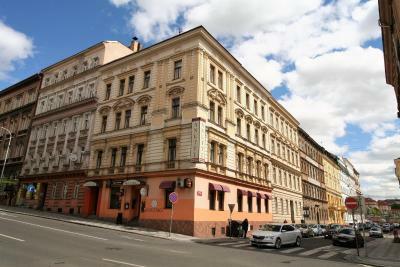 Overall, I am very pleased with the hotel and if I would have to choose the second time to cone to Prague, I would choose this hotel once again definetly. Perfect location. Next to tram stop to get to most locations. Friendly staff, very helpful. Hotel was spotless. Great value for money. The location was great staff were helpful and friendly. Dead power outlets and dysfunctional internet connection. The heating wasn't working very well it was a bit cold in the room. Amazing location on the other side of the river but the area and people there just amazing and pubs around, very clean and cozy. They give you towels and shampoo and shower gel and soap are in the room amazing! 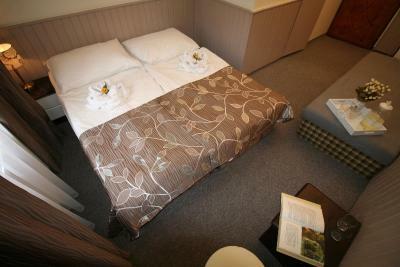 The room was very small for three people - it was double-sized room offered for three persons. The is not enough free space at all. 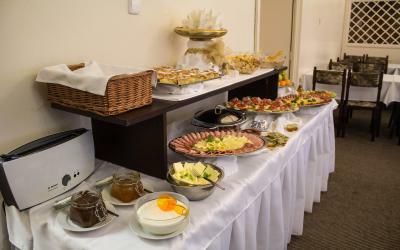 The breakfast was not bad but the quantity was not enough for all guests at the hotel. 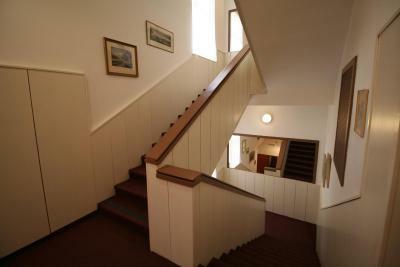 The location is very good - close to the metro, tram and even for walking distance to the city area. The place has interesting buildings and shopping area nearby. Wi-fi quality in the room was good.